There are few things on this earth that delight my nature lovin’ soul more than a day spent in the wilderness. If you haven’t been fortunate enough to visit this lovely wet spot of the world called the Olympic Peninsula, I urge you to visit. I can think of nowhere else on earth where I can breathe in the salt from the sea in the morning, and stand on a snow-capped mountain peak in the afternoon. Nowhere else can my fingers tickle through dangling green moss, and my feet slosh gently through a glacial stream. This place we live, just rocks my socks. So naturally, after I had my first baby, getting out to go hiking proved much more challenging than before. My husband and I would often throw our dog in the truck, grab our hiking gear off the garage shelves and spontaneously head for the hills. The idea of taking our son on even a 5 mile hike initially seemed very daunting. I thought of all the things we took with us when we simply ran out to the grocery store, let alone miles into the mountains. Kids aren’t exactly good at spur of the moment wilderness adventures when there are naps to consider and diapers that have the potential to blow out at any given moment. But I knew I couldn’t sit on my couch any longer, and my soul was aching for sights of cedar boughs and snow-riddled peaks. I’m not sure when I consciously made the decision to start doing things and really living again, but I knew it was important for both my mental health and to start exposing my son to the great outdoors at an early age. 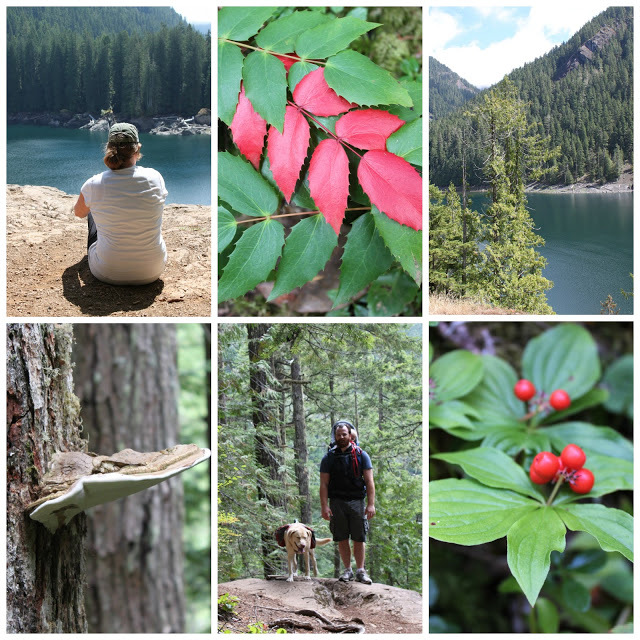 So we decided to pack up all the things one Sunday, and headed for the mountains to one of the most popular lakes in the Olympics; Lower Lena Lake. The trek up to the lake is moderate, gaining over 1,200′ in elevation, and the hike itself is 6.4 miles roundtrip. But we always see hikers of all shapes and ages making their way up and down. The lake is worth it. It’s deep, pristine, and lures you in with its sparkling green waters. Don’t be fooled though-an alpine lake like Lena will shock your body to its core and leave you gasping for air as you wonder why you thought it was a good idea to jump into its frigid edges. 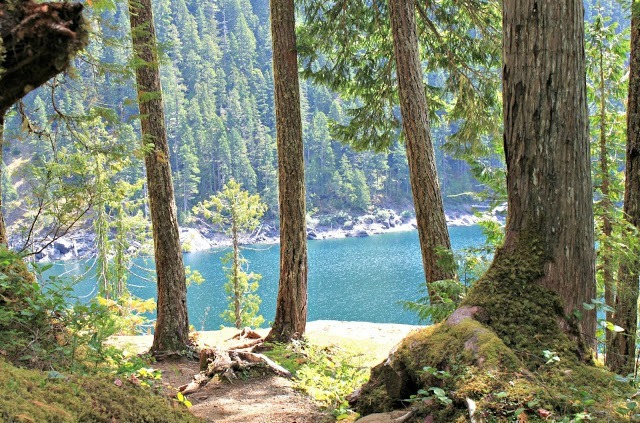 Lena Lake is also great because it is part of the Olympic National Forest, as opposed to the park, so dogs are welcome to trot along the trails as well. Technically dogs are supposed to stay on their leashes, but our big guy is super well behaved. Typically. When I chose Lena Lake, my husband asked me why. We’ve been to Lena Lake a few times, and usually I like to spend my time going somewhere new. I shrugged and said I wasn’t sure, but I knew in my heart it’s because this hike was comfortable. It fit like a favorite pair of worn jeans. There were no surprises, so I knew what to expect for our first trek with the baby. It made me feel good. As soon as my legs carried me up and around every twisting switchback, my eyes focused on my son’s chunky legs hanging out the sides of the pack, I remembered why I love Lena Lake. 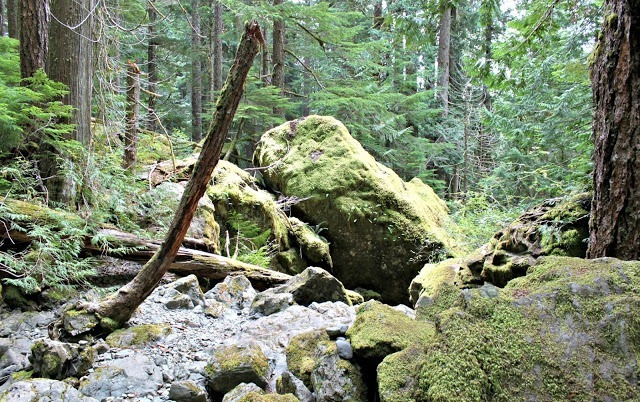 With every passing footstep over rocks, bridges, and roots, a memory came flooding back. I thought of the time when I was six and my dad took me on my first hiking experience, my little feet following his big ones on a 13 mile roundtrip excursion to the snow capped edges of Upper Lena. I recalled the time I was 22, young and naive about the world, and the people I was keeping in it. When I was 25 and my future husband and I hiked in the hail and got peed on by our dog. When I was 26 and we backpacked past the lake to camp in the Brothers Wilderness, and I was sure those lost midnight hikers were serial killers coming to murder us. 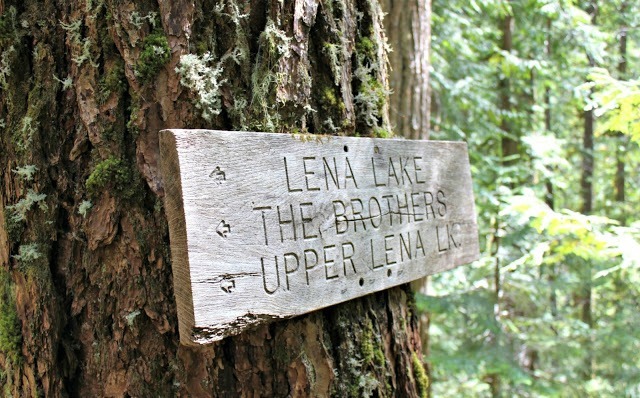 So yes, Lena Lake, I like you because you make me nostalgic. Next time I go, I will remember the very first time I took my baby boy to gaze upon your shores. And maybe he’ll bring his family here someday, remembering these photos in his heart. This hike has the potential to become an accidental tradition for us. Now that our son is closing in on three this summer, and we have a 4 month old, I still think this is a fantastic hike for families. Our son enjoys and is acclimated to a lot of outdoor time, and is capable of hiking and walking quite a few miles on his own. What a great gift to be able to give our children; helping them connect with nature and their truest selves. I have the fondest memories of waking up snuggled in between my parents in the middle of nowhere, the sound of a river rushing nearby, my scrawny little legs carrying me up and down endless hills. I want that childhood for my kids, too. It definitely took some adjusting to learn how to hike with small people, but it’s so much fun! I highly encourage anyone to give it a try by starting small and working your way up. My heart warms over seeing my son running down the trail, stopping to pick up sticks and smell the flowers along the way. Now that he’s moving on his own two feet, hiking can definitely take longer, but it’s worth the journey. 1. A good, sturdy hiking pack that is comfortable for both wearer and babe. We bought the Deuter Kid Comfort III for half the cost of a new one on Craiglist. It’s awesome, and will fit our baby through toddlerhood (our son is big, but still fits in this). 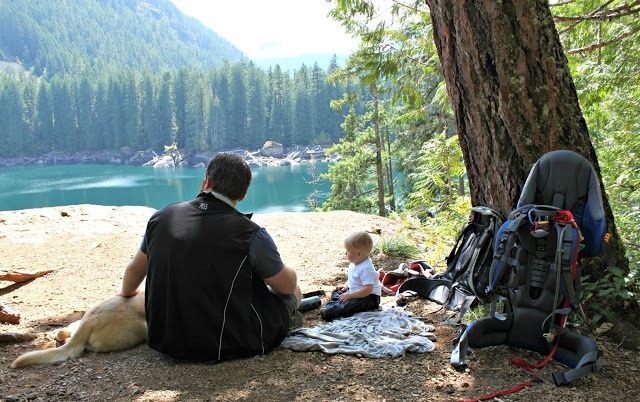 If you’re hiking with a smaller infant, stick to the ergo or tula. 2. First Aid Kit, complete with bee sting/bug ointment. 3. Leave the whole diaper bag in the car. Less is more! Bring a handful of diapers (you never know), a package of travel wipes, a small mat, and plastic baggies for diapers. 4. TerraShield bug repellant blend. It’s natural, and I feel safe putting it on my baby. Plus, it works! 5. Clip on toys for the pack for baby to play with/chew on while hiking. 6. Sunscreen, a hat for sun, a hat for cold, long pants, and an extra sweatshirt. We also put shoes on our babe. And remember, you are hot and sweaty-your baby is sitting still in the pack. Just because you’re hot, doesn’t mean he is. 7. 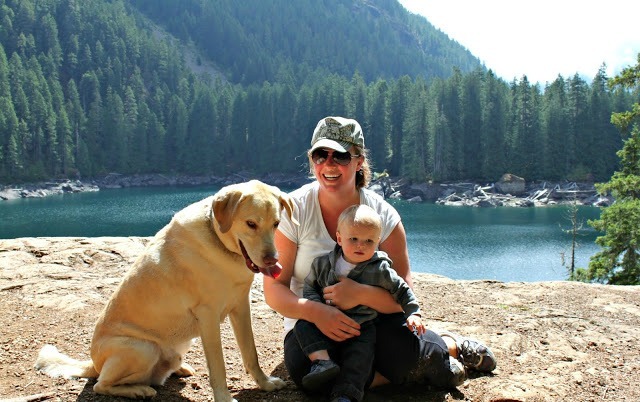 Don’t worry about your baby getting dirty-he’s hiking! We let our guy play in the rocks/dirt and explore nature. Bring clean clothes for the ride home. 8. 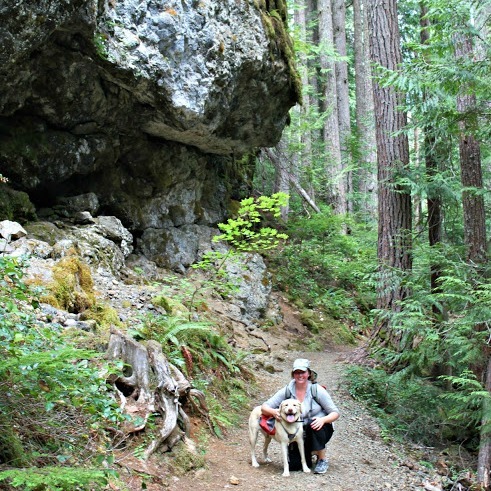 Choose a hike that isn’t too long or taxing on anyone. Even if your baby does nap well in a pack, you don’t want to venture too far from the car in the event of an emergency. When we have our baby, we stick in the 4 to 7 roundtrip mile range at the most. If you are planning a longer or overnight backpacking trip, your list of essential items will obviously double. 9. Bring a relaxed attitude, and be sure to point out all the beautiful things your baby is looking at! That’s it! Since I’m a nursing mama, I don’t worry about bottles and the like. We bring a few liters of water and he takes drinks off that, and he also eats from our lunch (chicken, banana, blueberries, etc). Those organic fruit pouches are nice, too!